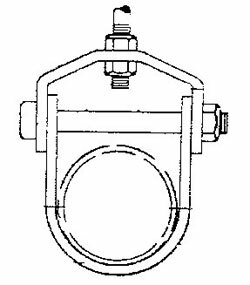 Pipe hangers can vary from the very common as a clevis hanger, to pipe clamps and risers, to the hardware such as all thread rod and U-bolts. The most common materials supplied are Steel and Stainless Steel. The pipe supports available can range from fabricated pipe shoes and anchors and slide plates. The slide plates are available in Teflon coated, Graphite and Stainless Steel.